Laura’s passion for astrology knows no bounds. 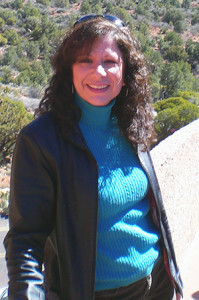 Teaching and practicing since 1986, Laura teaches classes from beginning astrology to advanced. Laura is a 2nd-generation astrologer, practicing and teaching astrology for more than 25 years. She is the co-owner/coordinator of NORWAC – The Northwest Astrological Conference, established in 1984. Her family owns Astrology Et Al Bookstore, which she managed from 1983-91. She founded and coordinated ROMAC03 (Rocky Mountain Astrology Conference), was hired as the coordinator for UAC02 (United Astrology Conference), served as a Track Coordinator for UAC08, and served as the UAC12 Pre-registrar. Laura has presented at NORWAC (since 1989), ISAR05, EA06, UAC08, NCGR10, The River of Stars Conference in 2011 and 2015, Jeffrey Wolf Green’s Evolutionary Conference Nov. 2011 & Nov 2012, and UAC12. She has lectured in Portland, Boston, Hartford, Edmonton, Louisville, San Francisco and Tampa. Laura is one of the original founding board members of Kepler College, and served as the Recording Secretary and a brief stint as President of the Board. Laura is a Past Vice-President and President of the Washington State Astrological Association, and is currently serving as the Treasurer. From 1993 until 1996, Laura was on with a local radio station doing a weekly spot; she also did guest spots on the Laura Lee show and recently “Anchored in Astrology” with Debra Clement. She produced and broadcasted her own internet radio show, “Astrology Talk”, from 1998-1999. Laura is a regular guest on “Guiding Stars with Kristin Fontana” for the last 5 years. She is an Evolutionary Astrologer; having studied with the founder of the material, Jeffrey Green, from 1983-86. Laura has a thriving client practice and teaches several nights a week in Seattle where her focus is looking at the karmic/evolutionary issues in the chart and helping her clients to deal with and heal past life patterns. © 2019 Laura Nalbandian. All Rights Reserved.